3.1 What is a Cellular / Wireless Game Camera? 4.1 How Do Wireless Game Cameras Work? 4.2 How Do Cellular Game Cameras Work? One of the newer developments in the game camera industry is the use of wireless and cellular technology. 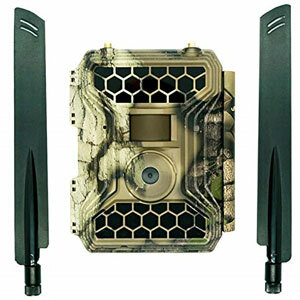 These game cameras are designed with an inbuilt transmitter or a SIM card from a cellular carrier, which transport images that the camera captures to your cell phone or email. Wireless cameras are extremely user-friendly and very convenient as you don’t have to walk into the woods each time you want to see what’s captured on the camera. Cellular game cameras are good for property surveillance as they can transmit real-time alerts of trespassers on the property. After the camera detects and captures an image of an object passing by, within 90 seconds you will have that image on your phone or email. If you’re looking for the best wireless trail cameras on the market, our wireless trail camera reviews will help you choose the one for your needs. If you’re looking for a high-quality trail camera that has a long-lasting battery, then this is the model you’re looking for. 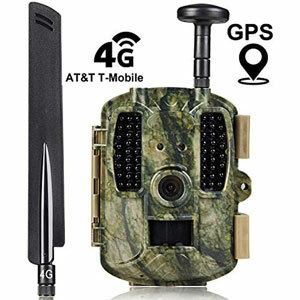 Kuool Cellular & GPS Trail Hunting Camera is compatible with AT&T/T-Mobile SIM card, and it can record work for up to 8 months for every battery recharge. The 12MP camera can film in 1080 HD formats, and the infrared detection sensor will turn on the camera every time something comes within 65 feet of it in the dark and it also has a detection angle of 120°. The camera is simple to operate, and it is simple to install and secure. Good For Photo Enthusiasts – This camera is capable of taking high-quality photos. The time-lapse feature will allow you to capture beautiful images, and you can also take continuous shots. Trigger Speed Could Be Better – The trigger speed ranges from 3s to 60min. Some people don’t enjoy assembling new gadgets every time they buy one. You see the device online, you like its specs, but when you receive it, it’s just a pile of pieces you have to assemble. 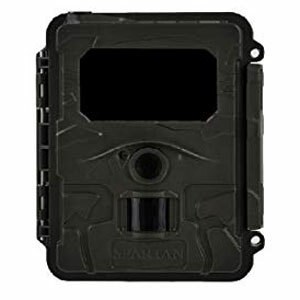 If you’re one of the people who would rather receive a working unit instead of parts, then the Spartan GoCam is the right trail camera for you. The Spartan GoCam is ready to use once you take it out of the box. You don’t have to install a SIM card in it, it already contains one. The SIM card is connected to an Internet provider, and the data plan can be added to an existing account, or you can start a new data plan especially for the camera. The data plan can be activated and deactivated whenever necessary. Great Signal – The SIM has a great signal, especially if you use the external antenna provided, and it will send you the camera feed even from remote locations. Fragile External Antenna – The external antenna is pretty fragile, so you will have to be careful when installing it. You should also be careful where you place the camera, as bumps and hits can damage the antenna. If you’re looking for a durable trail camera that can send high-quality directly to your phone, you should take a closer look at the 12 MP model developed by Snyper Hunting. This model comes with a built-in SIM card, and it will text you the camera feed directly on the phone. You can also install the manufacturer’s app on your phone and watch the photos whenever you want. The camera is very easy to set up, and if you’re having troubles following the written instructions it comes with, you can watch the manufacturer’s video tutorial on Youtube. Super Easy Setup – Following the manufacturer’s video tutorial will allow you to set up the camera in no time whatsoever. Long Battery Life – The camera has a long battery life, and the battery saving feature makes it very effective even during the cold winter months. Every time you get a picture, it will also show the battery status, so you don’t have to travel to the camera’s location to check it. Menu Could Be Better – The camera’s menu could be better. Some people might need some help figuring out how to access all the camera’s features, but the tech support will help you with that. When people think about trail cameras, then only think about the photos the camera can take. 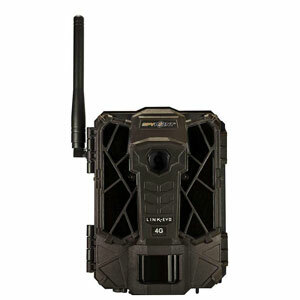 Well, this wireless trail camera produced by Spypoint can do so much more than that. First of all, the camera can take photos in 1080P resolutions, and it has a trigger speed of 0.3s. But that’s not all. When the photo is taken, you can see the time and date when the trigger was activated, the temperature, and the moon phase. This will help you determine when the game is active in that area and set up a hunting schedule. Sensitive Sensors – The high-sensitivity sensors will trigger the digital camera even when small subjects enter its field. High-Quality Night Vision – The night videos have a very good quality and it records sound as well. The mic is sensitive enough so you can make out the sound’s details. Short Battery Life – Unlike other trail cameras, this model drains the batteries pretty fast. If you want to extend the camera’s battery life, you can change some of its settings. Trail cameras serve multiple purposes. You don’t have to use a trail camera for hunting only. Such a device will also come in handy if you want to protect your property from intruders or thieves. The Covert Wireless trail camera comes with a mossy oak finish that’s easy to blend in with its surrounding environment. It features a built-in infrared flash with 60 invisible LEDs and a 100ft range. Plus, it takes 12MP still images and can record 1280×720 resolution videos. Good Feed – The camera takes high-quality pictures, and it only takes a minute or so for the picture to reach your phone. This is a good feed, and you can use the data to see exactly when something enters the camera’s FOV. Easy To Control – The 2″ color viewer makes it easy to control the settings of the camera and preview pictures and video in the field. A Bit Difficult To Set Up – Unless you are technically inclined, it may be a bit difficult for you to set this camera up. If you like checking your trail cam’s data frequently, but you don’t want to drive to them every time to do so, you can install a wireless field modem to send the camera’s data directly to your smartphone. The Moultrie field modem is easy to install, and you can have it up and running within minutes after you take it out of the box. However, you might want to upgrade the modem’s firmware before you pair it with a camera, to make sure they will be compatible. Accurate Feed – Once the modem is installed, you will be able to access the camera’s data using your phone. The camera feed is accurate, and it will only be delayed about a minute or so until it reaches you. Good Informational Videos – If you encounter any problems while using this device, you can check the informational videos on the manufacturer’s website. Chances are, your problem has already been explained in one of the videos. Spypoint Tiny WBF also offers you the convenience of reviewing the captured images without having to go back to fetch the camera and without disturbing a potential hunting spot. 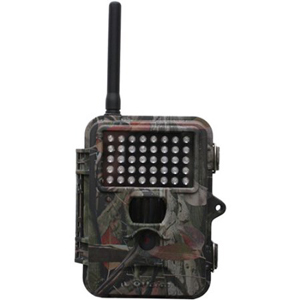 It’s a powerful 8 MP trail camera that is equipped with a built-in wireless receiver. The range for the wireless receiver is 250 feet. It delivers high-quality color images during daytime and sharp black and white pictures during nighttime. After dark, the Spypoint Tiny WBF uses an infrared flash with 38 invisible LEDs. What makes this camera stand out is its 3 sensors that have 7 detection zone with the range up to 50 feet. The instant trigger system provides a faster speed of the motion sensor and more centered images. The modes include a time-lapse mode and a multi-shot mode with up to 6 images per trigger. On the back of the camera, there’s a 2.4-inch screen on which you view all the pictures. The camera also creates a backup of all the captured images in the black box receiver along with also saving to an SD card. Another great product that makes one of the best trail cellular cameras is the HCO Wireless 3G camera. This UMTS/W-CDMA is compatible with AT&T and T-Mobile cellular carriers. However, you can choose your own service carrier, as well as the service type. There’re two plans available. 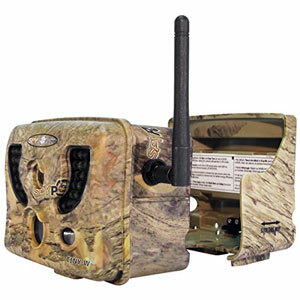 One is MMS plan which allows this trail camera to send pictures to your phone or email. Data plan includes image sending to an email. You can set up to 4 email addresses and phone numbers as recipients of the pictures. It features a very easy setup that doesn’t require any software or computer. As it recognizes the SIM card, it automatically sets up all the parameters. The picture quality is also great with the maximum resolution 8 MP. The No Glow invisible infrared flash delivers clear images while staying undetected by the animals. You can either use the motion trigger mode or the time lapse mode. Alternatively, you can also use the video mode that will record up to 60-second long videos. Bushnell Trophy Cam HD Wireless is very simple and easy to set up and offers convenient pay-as-you-go renewals. The camera settings can be quickly accessed and modified using a free app, so you can manage your camera via a computer or smartphone. First, the images are saved to the web portal and from there you can either download the images or change the settings. All data communication is done through the AT&T network, but you don’t need to have it on your current phone plan, as all the data is provided through Bushnell. The motion sensor is capable of detecting objects up to 60 feet away, with an impressive 0.6 trigger speed. The built-in temperature sensor provides consistent functioning in all weather conditions. The images are of really good quality with 14 MP full-color resolution. In addition to image capturing, there’s also high definition video mode with audio recording. Bushnell Trophy Cam HD Wireless is also equipped with a No-Glow flash, featuring 48 infrared LEDs. This night vision flash provides clear and sharp after-dark imagery. There’re several modes available. You can either choose the live trigger mode, time lapse, or the Multi-Flash mode. 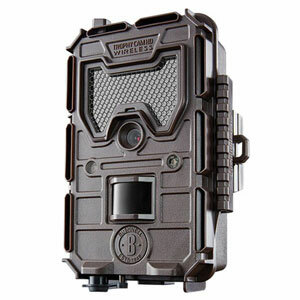 One of the more affordable cellular trail camera options is the HCO Uway USM652. It can be used for business or home surveillance so you can instantly see who is on your property and wildlife watching to get live reports of what’s happening at your feeder. It works with AT&T wireless prepaid card. As the camera captures an image, it saves a high-resolution image to the SD card and a smaller sized version sends an email or text picture. It takes up to 2 minutes to receive the image and it can be forwarded to up to 4 phone or email accounts. The picture quality is very high, though the 5 MP is lower compared to many other trail cameras on the market. 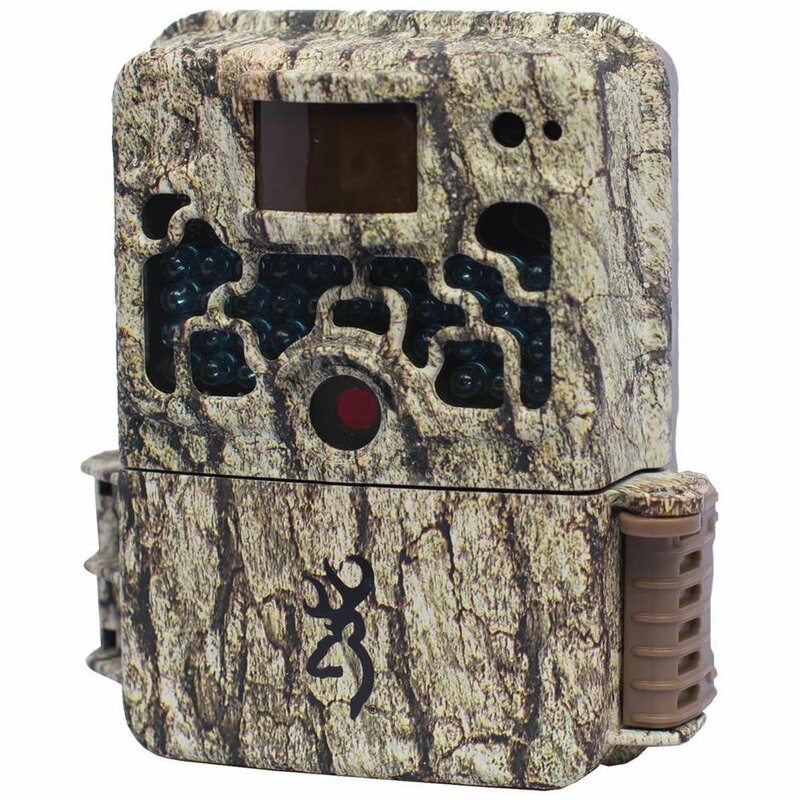 Unlike the above-mentioned trail cameras, this model is not designed with no glow flash. So the flash is visible at night to humans, but it’s only a subtle glowing red. HCO USM652 runs on 12 lithium batteries, which should give about 3-4 weeks of operation. The camera is additionally equipped with an external battery jack to which you can connect a solar panel. What is a Cellular / Wireless Game Camera? 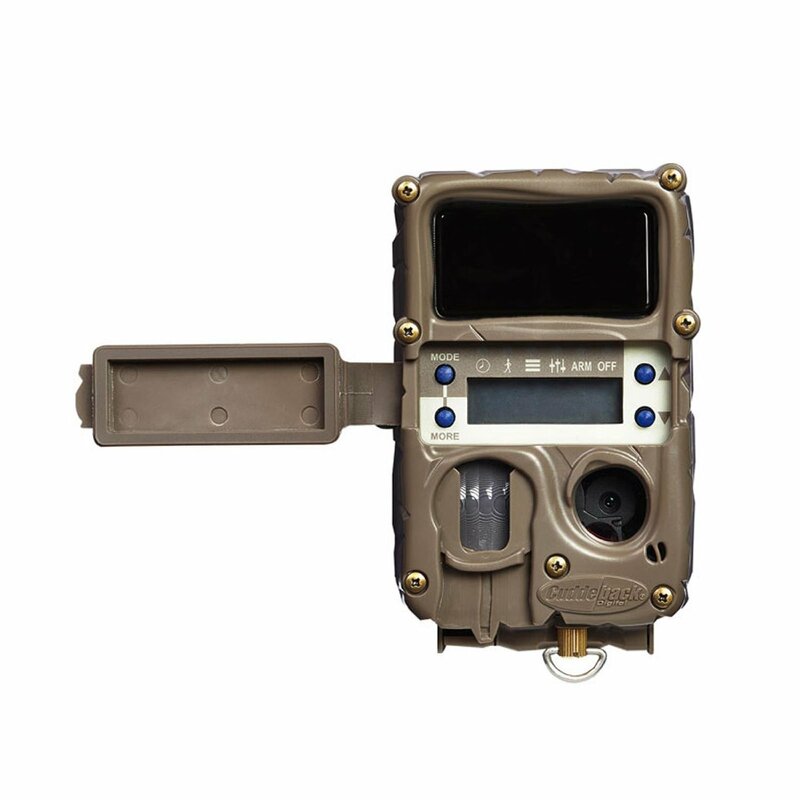 Cellular and wireless trail cameras are a combination of a traditional game camera and a basic cellphone. The two devices are housed in one unit that usually comes in a weatherproof case. They share the same power supply, which is usually lithium batteries. 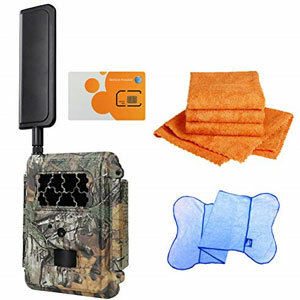 To use a cellular trail camera you need to have an activated SIM card and a corresponding cell phone plan that will provide transmission of photos. Once you activate the card, the camera can start transmitting images. While the images stored on the SD card are of higher resolution, the images that are sent to your email or phone are compressed and smaller. On the most cellular and wireless cameras, the user can set up as many as 4 recipients of both phone and email. Some models offer Bluetooth connectivity as well. Almost all of the cellular cameras work with a GSM network. If you are in the U.S., then you will have to obtain cell service through either AT&T or T-Mobile carrier. However, after activating you can use your own cellular carrier and have the camera transmit images to any cell phone or network. Previously most of the cameras were supporting 2G service. However, since 2014 many wireless trail camera manufacturers have switched to 3G coverage. Another aspect to consider when choosing a cellular game camera is the warranty that comes with the product. Most of the warranties will not cover cell coverage termination or poor cell reception. How Do Wireless Game Cameras Work? 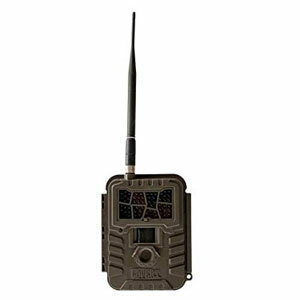 Wireless trail camera design includes a built-in transmitter, which then uses a wireless network to send images to the recipient’s phone or email. The benefit of these cameras is that they are extremely user-friendly and are very easy to install. Compared to traditional trail cameras there’re fewer attachments and no USB cords. You just choose a wireless network and connect to your camera. The only drawback to wireless trail cameras is that when used in the outdoors, the outdoor environment can hamper the wireless signal. Also, you have to be inside the Wi-Fi range in order to receive the images. 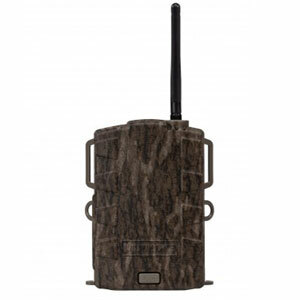 Cellular trail cameras also use GSM networks to transmit the recorded images. The recipient can also get images by either phone or email, or both of them at once. You will need a SIM card and data package to transmit the images. These cameras are usually quite compact and are suitable for use in both indoors and outdoors. Similar to wireless game cameras, the installation is simple with no wires required. Cellular trail cameras are a great option if you are looking to upgrade your surveillance or wildlife watching experience. They are really good for surveillance purposes as you can instantly see who is trespassing on your property. The cameras are also advantageous for hunting as you can at once see who is passing the feeder. Top-rated wireless trail cameras mentioned above are the best wireless trail camera options that we have found on the market. Our wireless trail camera reviews were compiled based on many factors, including their feedback of real users, products’ rating, quality, and the usefulness of the included features.